Samsung is preparing to introduce yet another member to its Tizen family of devices. The Samsung Z4 has just passed the FCC on its way to going official. There was very little we could extract from the FCC docs. Samsung Z4 model number will be SM-Z400, and it will be a dual-SIM phone measuring 132.9 x 69.2 mm. The final detail available in the docs is the battery capacity - 2,050 mAh. 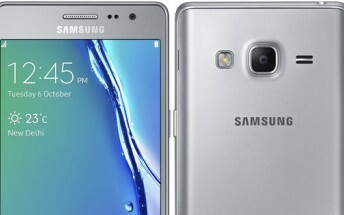 Tizen OS 3.0 is expected to premiere on the Samsung Z4. Now that the phone has passed the FCC, we expect the official announcement to happen sooner rather than later.